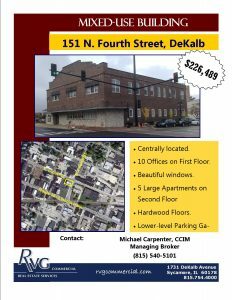 Great mixed use building centrally located in downtown DeKalb. 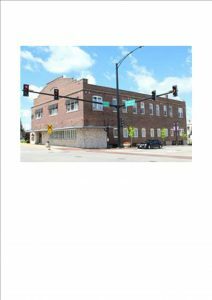 There are 9 offices on the first floor and 5 apartments on the second floor. Offices are beautifully windowed and the apartments are large & have hardwood floors. Below Market Rents. Building contains a parking garage!! !